- Tip of the Week: Have Advertisers Found a Secret Weapon, called Podcasts? Audio can be consumed anywhere and anytime. Listen to podcasts while cleaning their house, driving in their car, jogging, or exercising at the gym. Audio content is portable and convenient. As podcast grows in popularity, the size of your audience increases. Not everyone who listens to your show will come back for more, but the ones who like your style and your content will become loyal listeners. They will recommend your show to others. Easy to reach millions on iTunes or Stitcher and find your show by searching for specific topics on those platforms. If you wanted to start podcast 10 years ago, you would have likely had to spend several thousand dollars on equipment just to get started. Fortunately, this is no longer the case. Every person who becomes a listener and who you invite to be a guest on your show can potentially become a valuable contact for life. Some of them have become very close friends, and in many cases we have worked together on certain projects or simply shared ideas to help each other succeed. A podcast doesn’t have to be a hobby, but it can be. There are a few ways you can monetize your podcast. If your download numbers are high enough, you can charge sponsors to be mentioned on your show. You can also use your show to promote your own products or services (books, courses, or consulting, for example). Another option is to include a recommended resources section on your show’s main website, and include affiliate links in each of the recommendations. This way, when someone clicks on a recommended resources and decides to buy, your earn a commission from the sale. Sharing helpful advice on a specific topic on a consistent basis helps position you as an authority in your industry/niche. It helps develop your reputation as an expert. As you increase your authority in your market, you attract other opportunities to you (invited to speak at events or conferences in your industry). You may also consider coaching or consulting services on your area of expertise. A podcast can be a great tool to attract your ideal customers or clients. You can use your show to help promote your own products and services, or even consulting services. You can mention these things in your episodes, or simply tell your listeners to visit your website to learn more about what you offer. When someone hears your voice, it is incredibly personal. When someone listens to your voice while exercising at the gym, or driving their car for example, it is the closest thing to having you right there next to them and having a conversation. As your audience listens to more of your episodes, they begin to develop a connection to you. People will begin to like you. Most shows publish an episode once per week, sometimes less, and that seems to be the current norm. The good news is that once a podcast has been launched, maintaining it isn’t as time consuming as most people think it is. -Few steps: The first being planning the episode, followed by recording it, then editing it, then creating a page for the episode on your website, then publishing it, and finally, promoting it. A typical episode on my show is 45 minutes long. -Hosting a podcast is fun! The last reason you should start your own podcast is because hosting a podcast is a lot of fun! -Tip of the Week: Have Advertisers Found a Secret Weapon, called Podcasts? See http://Blog.Spreaker.com for article by Charlotte Micklewright. Here are the highlights from the article. -Audiences and advertising are finding common ground: a passion for audio. -Last year a study by Bridge Ratings predicted marketers will gain more and more confidence in podcasts. -The market spend for the platform will grow at a consistent 25% a year through to 2020. Advertising Age predicts that advertisers will push for their content marketing strategies to produce audience-oriented content that aligns with their brand’s purpose and values. The Age of Branded Podcasts: A big trend that is gaining momentum in 2017 is branded podcast. Many businesses have started to create their own podcast as an alternative to paying for ads in external podcasts. What makes branded audio content great is they allow brands to create an entire experience. One of the first of these types of podcasts to reach #1 on iTunes was The Message, a collaboration between General Electric and Slate Magazine. Each episode brings a new installment of fictional Sci-Fi tale that revolves around sound technology. The aim is to associate the brand with a powerful message. That’s how Starbucks CEO Howard Schultz and Starbucks executive producer Rajiv Chandrasekaran launched Upstanders, a podcast that celebrates true American spirit through stories of compassion, optimism inspiring individuals. The key is also understanding your audience and expanding the brand’s ethos into everyday life. What, even banks are in on this?! Umpqua describes itself as “the West Coast’s largest, and most unconventional, community bank.” So it’s unsurprising that its podcast Open Account addresses in very frank terms one of American culture’s greatest taboos – money. Many other businesses are finding that it pays to invest in audio advertising on podcasts networks. A recent report from Triton Digital revealed that 65% of podcast listeners would be more willing to buy products from companies that they’ve heard advertised on their favorite podcast. The same study, that includes data of nearly 1,000 podcast fans, found that a whopping 45% of listeners claimed they visited a sponsor’s website after hearing a sponsorship message or advertisement during a favorite podcast. What’s the Secret to This Success? Marketing strategists and data analysts alike have no doubts over the particular pulling power of podcasts. Podcast audiences are devoted fans whose enthusiasm carries over to the companies that sponsor their favorite shows. That ‘halo-effect’ is impressive. It is no surprise that more and more brands are including podcast strategies as part of their marketing mix. And the beauty of it is that it taps into a hard-to-reach audience – unlike other advertising avenues. 70% of podcast fans usually avoid visual advertising by using ad blockers online and ad-free services like Spotify subscriptions. I put links in the chapters for those I advertise. 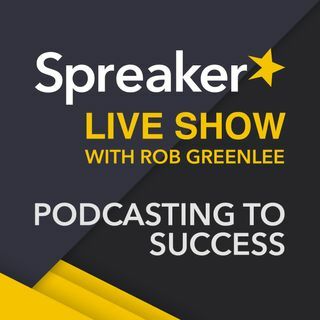 Perhaps the 21 or so advertisers that dumped You Tube will move to Spreaker. I share everywhere I am. I have made some wonderful friends through Spreaker I would not have met otherwise.